Spain’s current government, like its predecessor, always seems behind the curve. It has made some progress in passing budget cuts and some structural reforms, but it’s not enough. Only recently did it start to mention additional measures to get the country’s finances under control. The hope is that it won’t fall short. Spain’s 2012 budget target of 5.3 percent of GDP will be impossible to reach and is arguably too ambitious (last year’s deficit ended at 8.9 percent). The central government’s deficit already adds up to 3.4 percent at the end of May – when the target for the whole year is supposed to be 3.5 percent. Madrid argues that it’s due to up-front transfers to the liquidity-starved regions. But the regions themselves will struggle to hit their own targets. And the economy is also getting worse: the Bank of Spain has warned that the recession intensified in the second quarter of the year. But even if this year’s target looks out of reach, Spain can’t sit on its hands – and doesn’t have to. As part of the 100 billion euro bailout for its banks, the EU said progress on deficit targets would be closely reviewed. The European Commission has already made several recommendations: broaden the VAT tax base, boost other special taxes, eliminate tax breaks on housing, and speed up plans to raise the retirement age to 67. Simultaneously, it recommends actions to fight poverty and a youth action plan. Boosting VAT may hit consumption, but Spain must find a way to boost dwindling revenues without hurting the economy’s competitiveness. It should also focus on cutting waste in government at the regional and local level: Spain has over 8000 municipalities, 60 percent of which have a population of less than a 1000. Unemployment benefits, the most generous in Europe, should be overhauled to encourage job seeking. Then there is a long list of pending privatisations: airports, buildings, utilities and prime real estate. Spain needs to come up with answers because the government must soon approve next year’s spending ceiling. Meanwhile, other structural reforms are on the to-do list, such as liberalising services or the energy sector. Spain still hasn’t done everything it can to get the markets off its back. Spain’s government will pass additional measures in order to achieve its annual deficit target, Economy Minister Luis de Guindos said on July 3. The comments came after Prime Minister Mariano Rajoy said the government would “step on the accelerator” in terms of reforms. 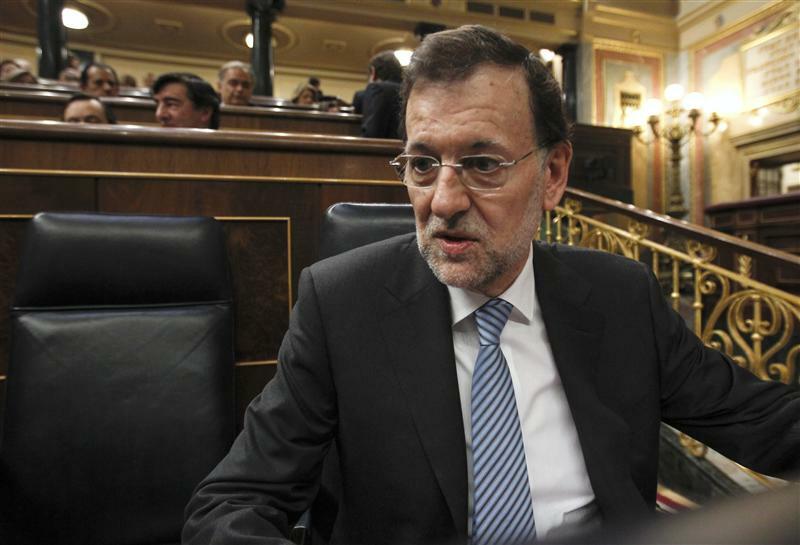 Spain is studying all options to reduce its public deficit, its public administration secretary said on June 28. A day earlier, the government said it was considering raising consumer, energy and property taxes, in order to reduce a public deficit that may have already exceeded one of its budgeted ceilings for the full year. The central government deficit was 3.41 percent of gross domestic product from January to May, close to a end-year target of 3.5 percent, Treasury data showed.